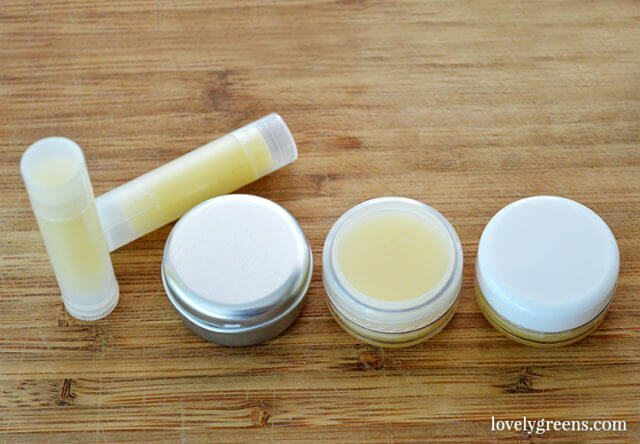 This is probably one of the best lip balm recipes I’ve created. 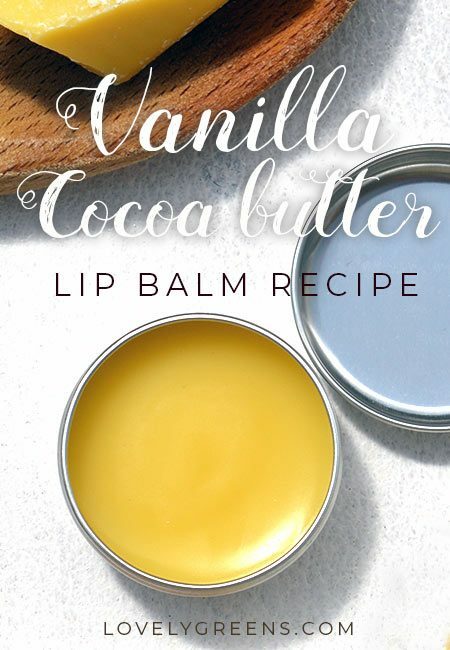 Incredibly simple to make, it tastes of vanilla and chocolately cocoa butter and leaves your lips feeling soft and shiny. 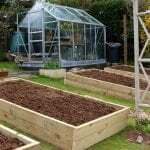 The project only needs about a half hour of your time and a few gorgeous, natural ingredients – convenient links to order what you need online are provided below. 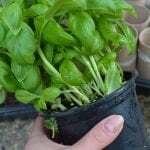 The recipe will make you up to 10 tubes of lip balm or five of the little pots. Enough to treat yourself and your friends. One of the easiest beauty products you can make is lip balm and I should know since I make thousands of them as part of my business. 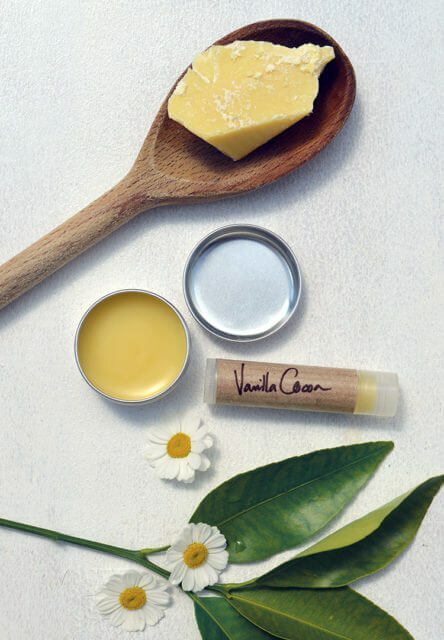 Lip balms are a combination of liquid and solid oils that when melted together will create a product that is softer than the hard oils used and harder than the liquid oils. The ratio of these is what is you play with to get the right consistency. When you get those right then you can add aroma, colour, and antioxidants (like Vitamin E) to make the product taste and look nicer. 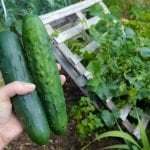 The recipe below is measured by weight and if you want to be exact please use a digital kitchen scale – I highly recommended these for those who wish to make any kind of beauty product. Otherwise, you can probably eyeball this recipe by using 1 part beeswax, 2 parts cocoa butter, and 3 parts sweet almond oil*. Also, the links to ingredients below will provide a lot more than you will need for a single batch. However, they’re the smallest and best-value amounts that I could find on Amazon for you. * If you have an allergy to almonds use another light liquid oil like grapeseed oil or sunflower oil. Also, I opted to infuse my oil with chamomile flowers which is entirely optional for this recipe. Chamomile has natural anti-inflammatory and antibacterial properties which make it great for damaged skin (think sunburn, chapped lips, or recovering from cold sores). To create an oil infusion visit this page for more info. 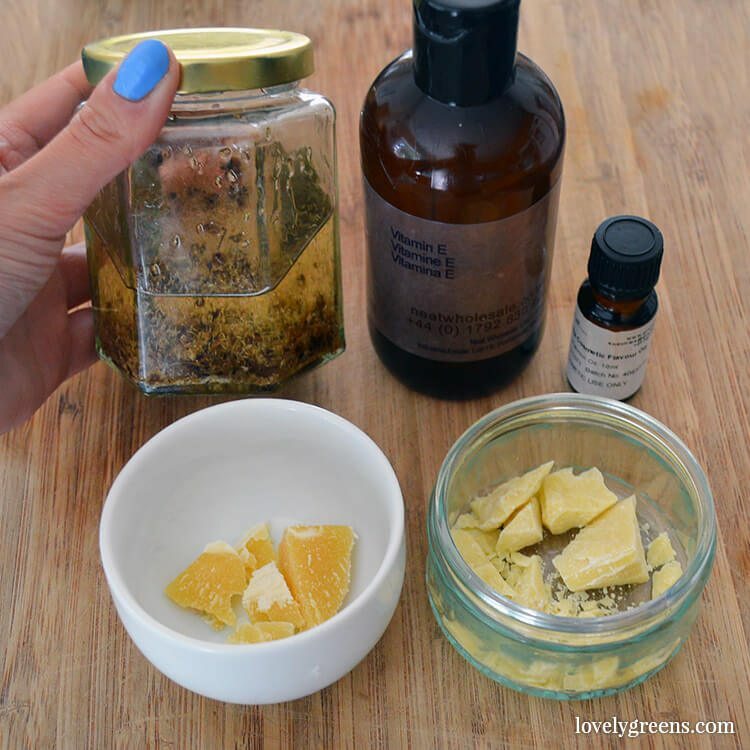 In this recipe I cold-oil-infused 120g of sweet almond oil with 2 teaspoons of dried chamomile flowers. ** Do not use vanilla flavoring meant for cooking. It’s water based and will just separate in your recipe. Oil and water don’t mix! Place the beeswax, cocoa butter, and sweet almond oil into a a small pan – if you have one with a sauce-pouring spout then even better. 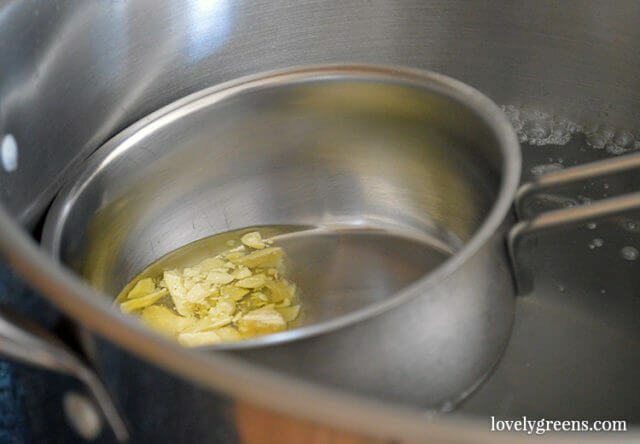 Melt the oils completely using the double-boiler method: float the pan with oils inside a pan filled with boiling water. This insures that the oils melt evenly but don’t get too hot. Add the flavor oil (optional) and vitamin e oil and stir well. When I make lip balms I use a bamboo skewer to mix since it doesn’t pick up too much of the oil. Put a cold spoon in the oil and a lot of the lip balm will ‘stick’ to it when you take the spoon out. 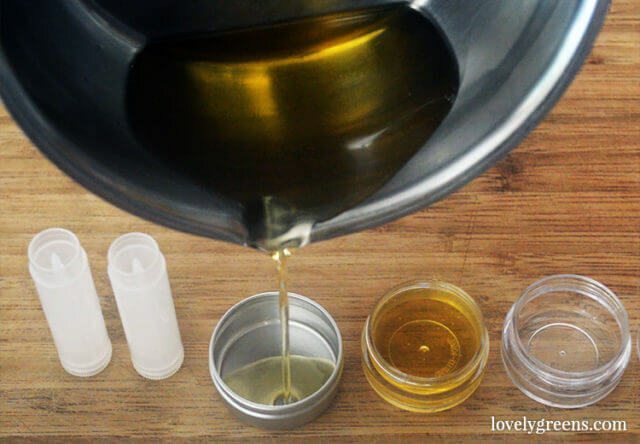 When mixed thoroughly, pour the oil into the lip balm containers which should be sterile when they arrive from the supplier. Shea butter has a tendency to go a bit grainy if it’s not cooled quickly. I’d advise popping your lip balms in the freezer, without the lids on, for at least 30 minutes if not an hour. Take them out after this time to let them come up to room temperature. If you cool these lip balms at room temperature they’ll be perfectly fine to use. There’s just a chance that the lip balm will feel a little gritty when you first rub it on. Within literally a couple of seconds it will melt and feel smooth though. If cooling at room temperature, leave them on on the counter with the lids off. They’ll cool and harden within an hour or two. When the lip balms are at room temperature you can put the lids on. If you put them on before then, you could get condensation under the lids and you don’t want that. Moisture can affect shelf-life and cause the lip balms to go rancid. Label the tubes by wrapping paper around them and gluing/taping. A handwritten label makes it even more personal. The lip balms should be used by the nearest expiry date of the ingredients you use. Generally 1-2 years. Mine came out perfect using this recipe. It has a wonderful aroma and goes on smooth. One batch is tined with mineral makeup. After all ingredients were melted together, I added a mineral powder. Someone commented about a gritty texture, I noticed it too slightly, but it’s seemed to disappears after the first application. Great recipe, thanks for sharing. Hey! I love making lip balms!! 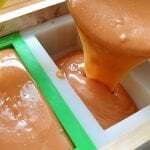 I like to combine beeswax, cocoa and shea, a small amount of vanilla bean infused coconut oil, and maybe some sweet almond or apricot kernel. Lately I’ve been adding some drops of German chamomile CO2. I am curious about the drag marks thing you mentioned. What does it look like? Thank you for a great blog !! 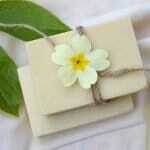 It’s when the balm lifts from the inner edge of the container in places. You can see an uneven finish from the outside of clear containers. It’s not a big deal but doesn’t look as nice in my opinion. Where do you find those cute labels? Thank you! I made them 🙂 It’s just my handwriting on adhesive kraft paper. 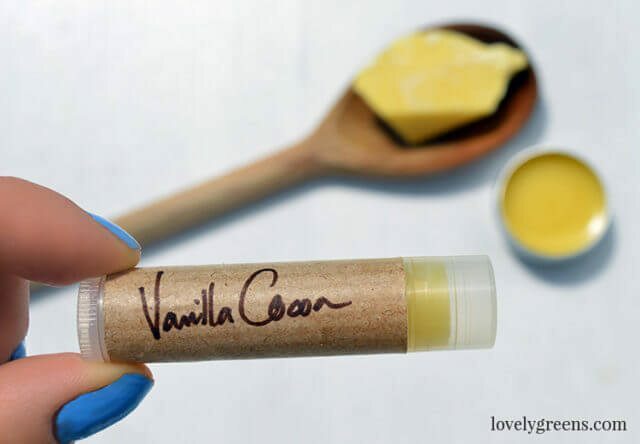 I’m thinking of making this lip balm, is there anyway of making it so it has an spf in it and what could I use. There is no safe way for the home crafter to create any product that protects against UV light. There are ingredients that can be used but no true way to test how effective it is or what spf the end product is. 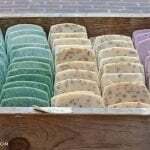 Can I substitute a few drops of doterra essential oil for the vanilla flavor oil and if so which one do you recommend? I don’t use DoTerra oils so I can’t help you there. Sorry! I just discovered your blog in doing research to make my own products. I love it! I have been making balms but I have found that the cocoa butter sets “blistery” which gives it a rough looking texture and feel. It dissolves just like the rest of the ingredients when you rub it but it looks and feels funny. Do you have any idea what causes this to happen? Do you mean a gritty texture? That’s common with some butters but you can reduce the chance of it happening by heating your butter (before you add the other oils) to 175F and holding it for 20-30 minutes. 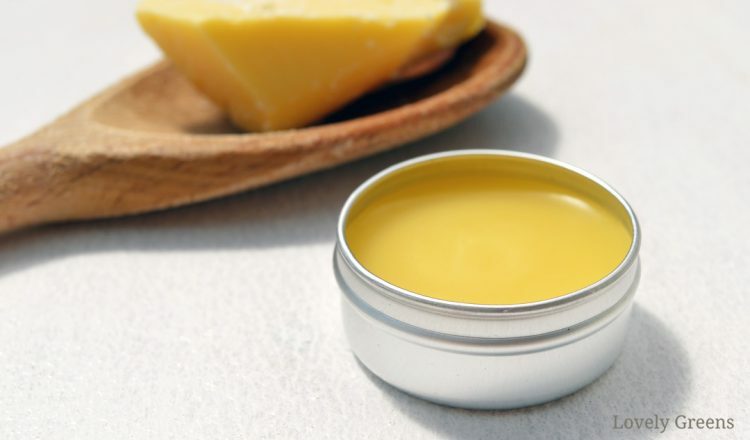 Cool your balms quickly too by placing them in the refrigerator. 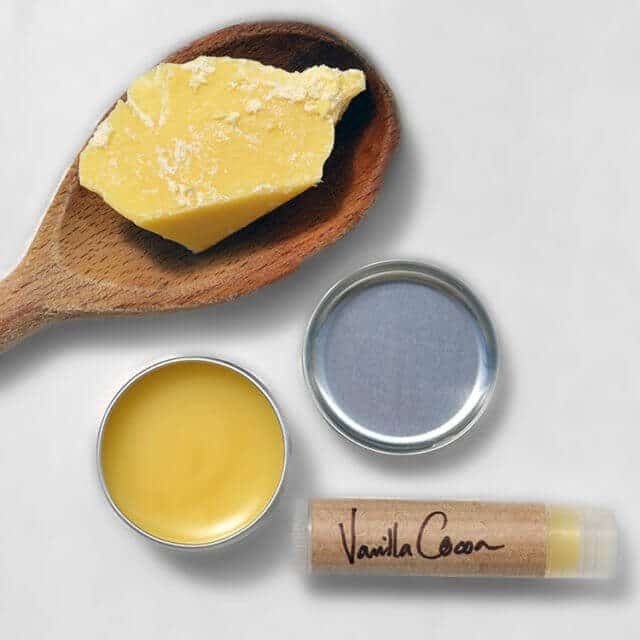 Hi tania, i made this lip balm with your exact ingredients, but it’s very soft, any ideas as to why this has happened, and should i put more beeswax or cocoa butter, or more of both ? Hi Irene! The recipe is tried and tested and is actually more on the hard side than soft. It’s possible that your digital kitchen scale isn’t functioning properly. Try again making extra sure that your ingredients and measurements are correct. I’d maybe try to get a hold of another scale as well. Hi Tania, if i leave out the vanilla flavour oils should i put more of the other ingredients in ? Nope 🙂 You’ll be fine leaving out the vanilla and get more of a taste of the cocoa butter is all. Any flavour oil you’d like — or you can leave it unflavoured. Don’t use vanilla extract meant for cooking since it has a water content. You know what happens when you mix oil and water together! 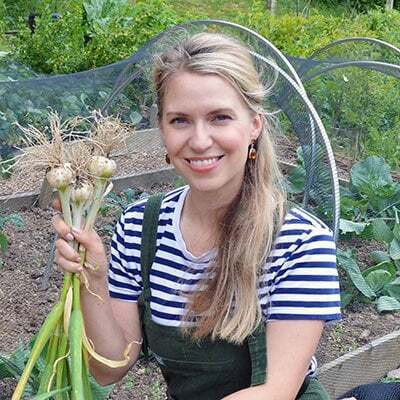 Hi Tanya, thank you for this lovely recipe! I really want to try this myself. Just a quick question: how come you need to add a preservative like Geogard Ultra in face lotion but not in lip balm? Thank you! !